Transport for London and Hackney Council may be triumphant now that their vision for a rail/bus Transport Interchange for Dalston will be realised when the 488 bus route extension from Clapton to Dalston Junction starts running this Saturday 4th June. However we were originally told that 70 buses an hour would use the Transport Interchange but it now turns out that only the 488 bus will use it (That's five 488 buses an hour, at peak times). 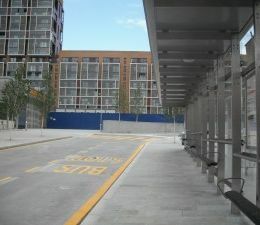 The bus stop is on The Slab, a massive concrete raft which was built over the Dalston Junction railway station so that bus and rail passengers could conveniently 'interchange' within the site. It was said at the time that there was nowhere else that the buses could stop. 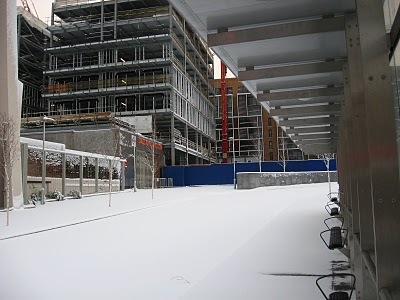 So The Slab had to be built - along with hundreds of private tower block flats for sale to pay for it. But TfL has since decided that other buses must continue to use the old bus stops after all because driving onto The Slab would just delay passengers. 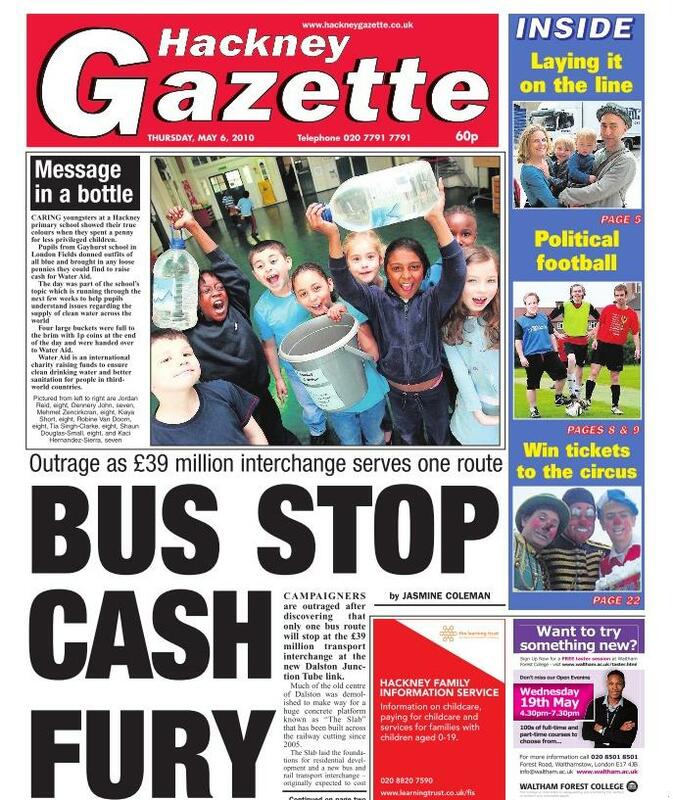 The cost of The Slab has risen from £26millon to £39 million and is now expected to cost £63million - just for one bus stop to service the 488. At the time of the last Mayoral election Hackney said it was "fighting for a Transport Interchange" but it is not yet known if Hackney's Mayor Pipe will be on board the first 488 when it pulls onto The Slab on Saturday. Nevertheless if you want to line the route cheering and waving (or whatever) as it progresses from Clapton to Dalston you will find the route here. Local people have not shown enormous enthusiasm for the £63million of public expenditure and the bus stop was sold for just £7.50 at OPEN's mock public auction last September. The lucky purchaser from Clapton, who preferred to remain anonymous, said "The 488 will be really handy for me to get the train from Dalston but I do agree that a £63million Transport Interchange seems a lot for the public to pay just for my convenience"
"The cost of The Slab has risen from £26millon to £39 million and is now expected to cost £63million - just for one bus stop to service the 488." This is obscene! I'm actually not sure what to think. Who gives the go-ahead on these expenditures? Who gets held responsible for such a failure? How are they held responsible?